5-hydroxytryptophan (5-HTP) is a compound made in the body from the amino acid, tryptophan, that you get from eating protein-rich foods. 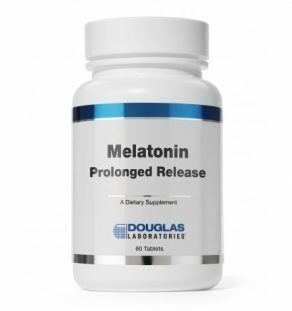 Once in the 5-HTP state, it goes on to form serotonin, the neurotransmitter that helps regulate mood and behaviour, and then is further metabolized into melatonin. Yes, you can depend on tryptophan as a precursor to the development of serotonin, (think protein-rich hot chocolate before bed) but research has shown 5-HTP to be much more efficient at delivering the feel-good hormone to the brain. Serotonin guided by tryptophan on its own is not able to break through the blood brain barrier (your brain’s defense system for keeping out foreign substances) but 5-HTP can. 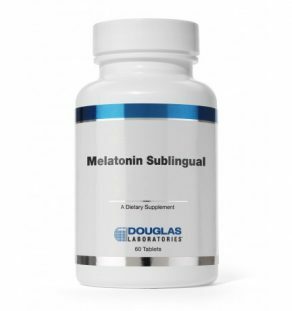 It acts as the password for serotonin to get past the security gates and flood the brain with its mood lifting and sleep inducing properties. 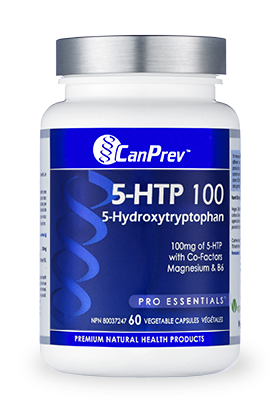 Try CanPrev’s 5-HTP 100 and unlock the door to feeling better today! 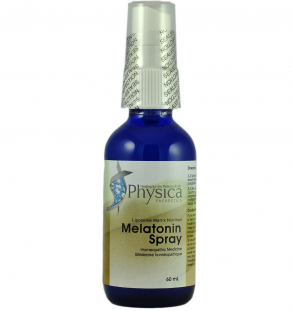 Helps to promote healthy mood balance, relieve symptoms of fibromyalgia and reduce the severity and duration of migraine headaches when taken as a prophylactic. Can be taken as a sleep aid. Adults – Take 1 capsule 3 times per day with food or as directed by a healthcare practitioner. 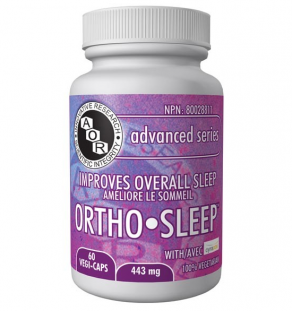 For use as a sleep aid, take 1 or 2 capsules 45 minutes before bedtime or as directed by a healthcare practitioner. To minimize the risk of gastrointestinal side effects, start dosing at 1 capsule, 1 to 2 times per day, and slowly increase to the effective dose over a 2-week period. For optimal results take for a minimum of 2 to 3 weeks. Consult a healthcare practitioner for use beyond 1 year. Contraindicated in those with scleroderma. User should discontinue use and consult a healthcare practitioner if signs of weakness, oral ulcers, skin changes or abdominal pain accompanied by severe muscle pain occur, or if sleeplessness persists continuously for more than 3 weeks. Caution advised when used concurrently with carbidopa or drugs or supplements with serotonergic activity. These may include, but are not limited to, antidepressants, L-tryptophan, S-adenosylmethionine (SAMe), St. John’s wort, painkillers, anti-nausea and anti-migraine medications, and over-the- counter cough and cold medications containing dextromethorphan.